Allan has been a financial advisor with The Bensman Group since 2001. 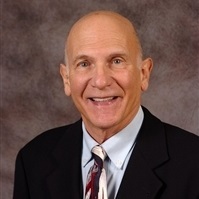 His specialties include Life (Term, Universal Life and Variable Life) insurance planning, Long Term Care, Disability Income, and Medicare Supplement insurance, along with Annuities for retirement and estate planning. For 36 years until 1997, Allan owned and operated a packaging and paper products business. Looking for a second career where he could share his wisdom and experience, Allan joined The Bensman Group. Allan is a good listener, promotes trust and confidence in people and concentrates on building relationships. He enjoys helping people with their risk management and retirement needs. 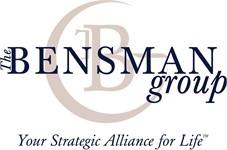 Since joining The Bensman Group, Allan has authored industry articles on long-term care, wealth transfer strategies and estate preservation. Allan earned his B.S. degree in Marketing and Business Administration from the University of Illinois, Champaign-Urbana, Illinois. He holds Investment Company Products/Variable Contracts Limited Representative (Series 6); Uniform Securities Agent State Law Examination (Series 63); and Uniform Investment Adviser Law Examination (Series 65). Allan is a licensed Viatical Settlement Broker and also holds the designation of Wealth Management Specialist (WMS™). WMS™ training is designed to provide financial advisors with the fundamentals of wealth accumulation and management for individuals and families. Consideration is given to the measurement of investment risk and return, the asset allocation process, insurance products in the wealth management process, business ownership and planning, as well as retirement and estate planning. Allan is a longtime supporter of The Visions Network, an organization that specializes in residential care and employment for autistic clients. Allan is an avid golfer, loves hiking and spends a lot of time in Arizona with his wife Karen. Allan and Karen have four adult children and three grandchildren.